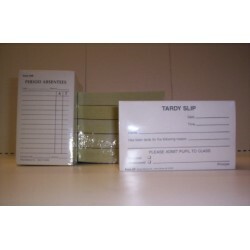 Check out our Personalized Note Pads! 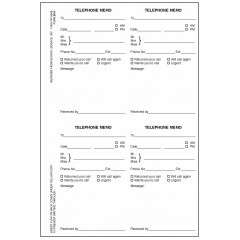 Customize your note pads with our new forms! 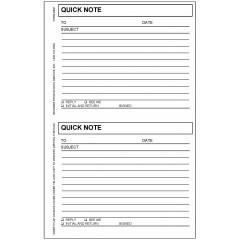 Our note pads are available in padded form, loose sheets, and 2-part carbonless. 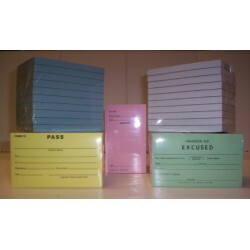 You can even order your personalized note pad in colored ink! 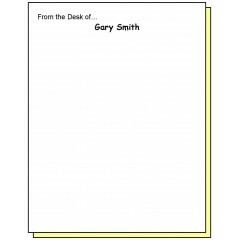 Two-Part "From the Desk of..." Personalized Note Pad Personalized note pad. 4-1/4 x 5-.. 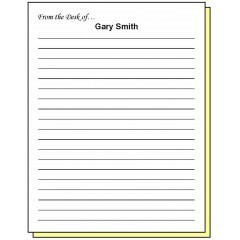 Lined Paper "From the Desk of..." Personalized Note Pad Personalized lined note pad. 4-1/4 x.. 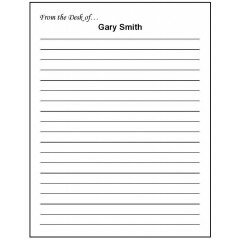 Two-Part Lined Paper "From the Desk of..." Personalized Note Pad Personalized lined note pad. 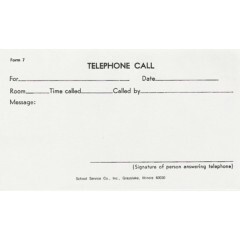 ..
Padded telephone call. 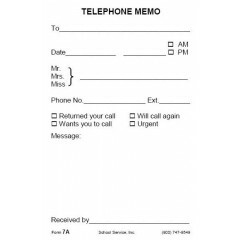 Size: 3 x 5 size Type: Bond paper padded (note pad paper) Stock ..
Padded telephone memo. Size: 5 x 3 size Type: Bond paper padded (note pad paper) ..
Carbonless Book Form Carbonless (NCR) paper White over yellow Each form is perfo..